Poems from Carl Orff's Carmina Burana read in English translation. Hear of the joys of the flesh penned by the Goliards, medieval defrocked churchmen and students, interpreted in a modern way by The Word Players, who are Larry Holpp, Dona Marans, Albert Norton, Judy Ratner, Julie Scherer, and Ed Walker. Directed and produced by Baird Searles for the Mind's Eye Theater. Technical production by Fred Friedman. 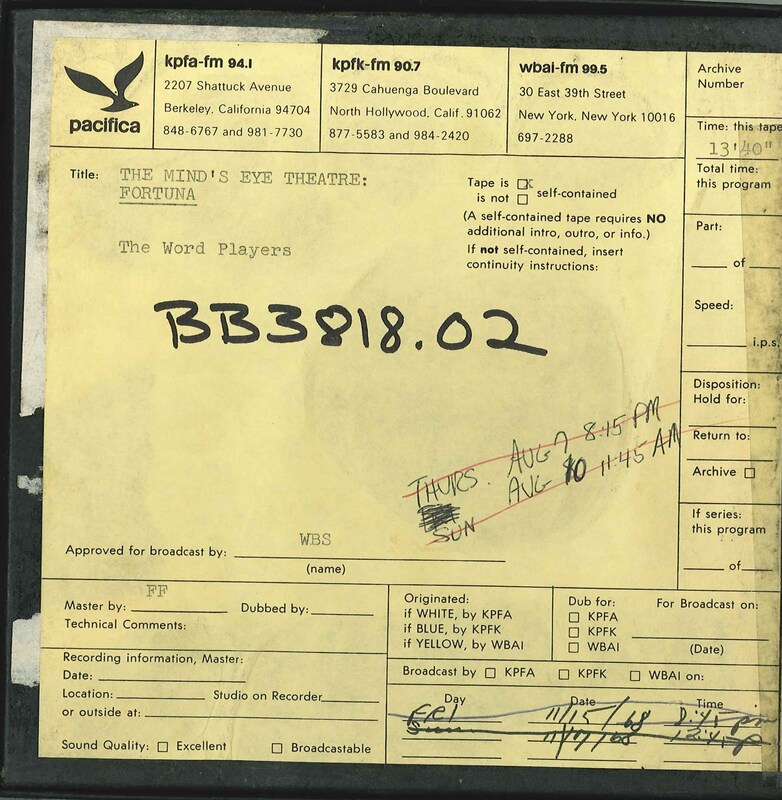 This recording was formerly cataloged as BB3818.02. 1 reel (14 min.) : 7 1/2 ips, mono.